College Aid Specialist has been assisting families for over 30 years in turning the dream of college into financial reality. Our customized strategies are designed to help families avoid the college financial aid maze. The College Aid Specialist plans with families to maximize grants and other college financial aid eligibility. 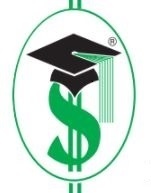 We assist students and their families in selecting colleges as well as financial planning for college financial aid. We professionally complete all financial aid forms including the FAFSA, CSS Profile, and New York State TAP. We encourage you to explore our site and learn more about the services we provide. Should you have any questions or would like more information on our firm, please feel free to email us or call us at (631) 462-7711. We look forward to hearing from you.